At Heritage Financial Planning, being a leading fee-only financial planner means more than just spreadsheets and financial calculators. It means being there for community support especially when that means supporting the youth of Atlanta. 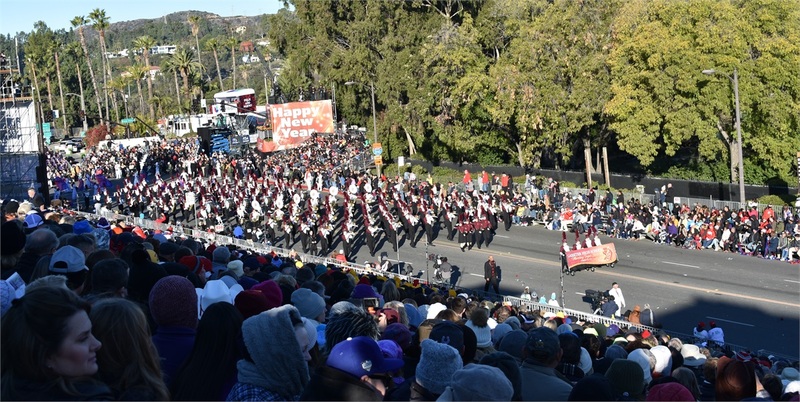 On New Years Day, I was privileged to do just that at the 2019 Tournament of Roses Parade in Pasadena where I was able to watch, cheer on and support the Lassiter High Marching Trojans as they represented Cobb County and the entire Atlanta area with pride. The young folks worked tirelessly to learn, rehearse and raise money to make the trip. At the same time, countless hours were spent by parents and grandparents to help make this a once in a lifetime opportunity for the band. As the only marching band from the State of Georgia, the Marching Trojans braved chilly temperatures (yes, it was really cold that morning) for the 5.5-mile march through Pasadena. Fortunately, the band was early in the parade lineup ahead of a float that caught fire and shut down the parade for a time. While the parade had somewhat of an anticlimactic end due to the fire on one of the floats, the morning was beautiful and made better by the sounds of the Lassiter High Marching Trojans. Congratulations to all of the students and families for making this dream a reality!